Throughout 2015, Atlanta Convention & Visitors Bureau (ACVB) earned several industry honors recognizing both the organization’s success and individual staff achievements. Customer Service: Readers of top meetings publications recognized ACVB for outstanding customer service. For more than two decades, meeting planners have consistently recognized ACVB for exceeding expectations and setting the gold standard for CVBs. 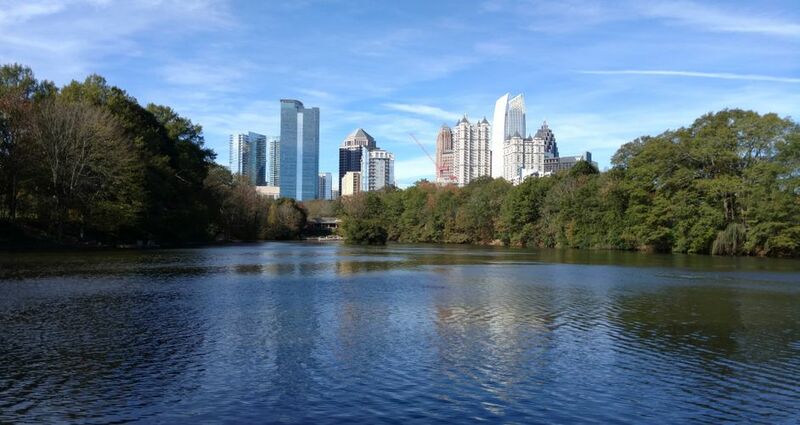 Cvent ranked Atlanta No. 5 on its 2015 list of Top 50 Cities for Meetings and Events. Cvent evaluated more than 5,000 cities, ranking them based on meeting and event booking activity in the Cvent Supplier Network. Meetings & Conventions honored ACVB for the 23rd consecutive year with the Gold Service Award for exceptional professionalism and dedicated service to planners. For 24 straight years, Successful Meetings honored ACVB with the Pinnacle Award. Meetings planners selected ACVB for outstanding meeting, trade show and convention services. Smart Meetings selected ACVB for the fifth consecutive year as a recipient of the Platinum Choice Award for exemplary standards of customer service. For the second straight year, Corporate & Incentive Travel honored ACVB with the Award of Excellence for dedication to providing the highest standard of client service. Digital Marketing: ACVB’s marketing team was awarded a SilverTelly for an attendance building video produced by Green Media Works. The video showcased Atlanta’s accessibility, activities and dining options for meetings and conventions. The Telly Awards honor the very best in video and film productions. Public Relations: ACVB’s public relations team received the PRSA Georgia Chapter Phoenix Award in the media relations in travel and hospitality category for the “Atlanta Welcomes the World” PR campaign. The campaign focused on increasing awareness of the destination among international visitors. Created by the Public Relations Society of America (PRSA) Georgia chapter, the Phoenix Awards recognize projects that demonstrate the highest quality in public relations. Connect honored Amy Patterson, vice president of business development and corporate events as one of its 40 Under 40 Award recipients. This annual list highlights the talents and accomplishments of some of the industry’s top professionals. Lacey Cameron, trade show sales specialist, was recognized by Destination Marketing Association International with a 30 Under 30 honor. The award recognizes talented destination marketing professionals throughout the nation aged 30 and under.